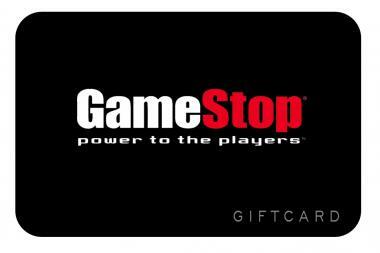 Jingle in Your Pocket: GameStop $50 #Giveaway CLOSED! I know that when I am doing my holiday shopping, money can get tight. It seems as though we will have items from last year, that have been used, but will be replaced this year by the newer items. The thing is, what do we do with the fact that not only do I have these items like iPods, iPhones, or iPads that are being replaced by this years items, but I could also use some extra money for my holiday shopping. Well the people from GameStop understand this situation. They deal with this kind of situation all of the time when people come in to trade in or sell their used games and systems, either to upgrade to a newer game or system or to sell the items for some money. Well the people from GameStop have decided to make the whole buy back of items a little easier by putting a little “Jingle in Your Pocket” this holiday shopping season. They are now offering a buy back program for used iPods, iPhones and iPads. I think that this is an amazing way to get some extra money this holiday season! So what do you think about putting a little “Jingle in Your Pocket“, or even trading your items in for some store credit? To find out more you can find a local GameStop store in your area and take your items in for money or in store credit! Bring in your old iPod, iPhone and iPad to GameStop and put some more jingle in your pocket this holiday! No packing, shipping or hassle – a store associate will tell you the value of your trade items and give you cash or store credit on the spot. Well, since we are in the season of giving, the wonderful people from GameStop are going to be giving one of my amazing readers a $50 GameStop Gift Card!! To make this holiday season even sweeter you can also enter to win the grand prize Mom Spark giveaway. If readers share a photo of themselves trading their iPods, iPhones and/or iPads at GameStop in the comments of her post, then they will be entered to win the grand prize of a $1,000 GameStop gift card. Tell me what you would do with a little extra “Jingle in Your Pocket”? Please leave me your email with this entry!! This promotional sponsored post was made possible by Mom Spark Media. Thoughts are my own. I was compensated for my time investment and work on this campaign. Thanks to GameStop for providing me with a gift card to giveaway. All prizing for MSM giveaways is handled by a third party unless otherwise noted. For this reason prize fulfillment can take up to 90 days after the winners information is received. Previous Post Chick-fil-A Holiday #Giveaway CLOSED!! Next Post Heelys Holiday Shopping! I entered your Rothschild giveaway.mami2jcn at gmail dot com#2Ooops I misread the mandatory entry. I thought you were asking how to get more jingle in your pocket. If I had more jingle in my pocket, I would buy my son Mario Kart 7 for the DS. I would get extra gifts for my grandsons. I google+'d this page – Kimberlie T.
I like GameStop on FB…Kimberlie S.T. I entered your SodaStream Giveaway. I entered your Ridemakerz Disney Cars 2 Kit Giveaway. I entered your Earth Mama Giveaway. I know it's not exciting, but I"d use it to pay bills! I also entered your ArrayGift.com $50 Giveaway. I also entered your Celebrate with Hershey's Giveaway. I like the idea of "Jingle in my pocket" — I'd either get a game for my BIL at the store, or use the cash from a trade in to take my hubby out to dinner! I looks for sales and coupons. I liked gamestop on facebook. I follow gamestop on twitter. i'd use a little extra jingle to go to starbucks- something i love to do but never have the money to do so! Ive never had 'extra' money before but if i did, it would be put towards bills first….then I would make sure to get my son a train toy as he loves trains.